If you are moving your office, there is one thing that you will definitely need and that is us. Office removals are not as easy an endeavor as it may sound and the professional help of experienced experts in the field is a must. 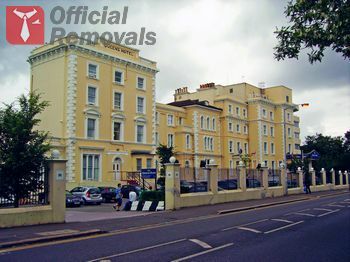 When we are talking about office removals in Crystal Palace our company is the most reliable choice that you can make. Call us today and book your moving day. You will be provided not only with a high quality moving service, but you will also have the pleasure to work with our polite and very knowledgeable customer service that will make every effort to answer all your questions and accommodate you in every way during the preparation stage of your removal project. We carry out Crystal Palace office removals the way they are supposed to. The huge amount of positive feedback we constantly receive in regard of our work is here to prove that fact. In order to move your office we will bring in the latest technology in terms of lifting and safety tools, packing supplies and vehicles. Our fleet of modern vans and trucks vary in size, so no matter whether your office is big or small, we guarantee that we have just what is needed for the job. The best part comes when we start talking about money. They are the main problem in an office removal. While moving your office you lose precious working time and possibly clients. We will carry out your project so fast that you will not have to make that compromise. In addition to that we work on some of the most competitive prices on the market. By hiring us, you will get rid of the need to worry about your tight budget. We will customize our service in a way that will best fit your needs and at the same time we will provide you with the best price/quality ratio possible. Call or leave us a message online today in order to book the day and the time for your office removal and leave everything else to us.